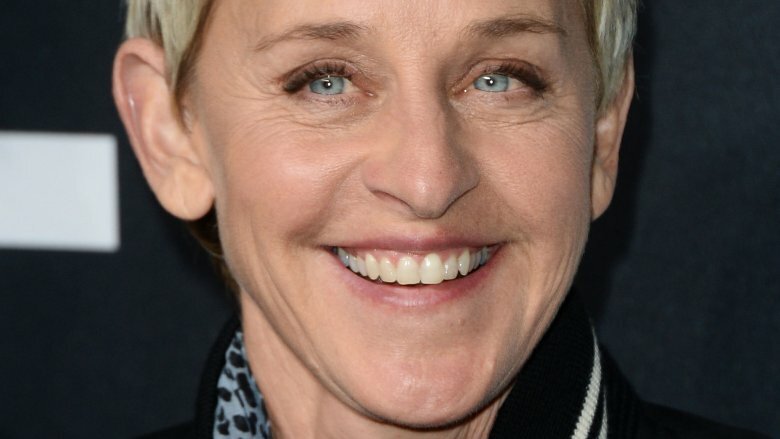 There's no question Ellen DeGeneres is one of the most well-liked and respected celebrities around. Known for her kindness, compassion, humor, and killer dance moves, this actress, comedian, producer, TV host, and activist paved the way for LGBTQ+ acceptance and representation when she came out in 1997. Between the longevity of The Ellen DeGeneres Show, her high-profile marriage with actress Portia de Rossi, and a myriad of awards, this A-lister cemented her place within the pop cultural zeitgeist years ago. But did you know she has an older brother? Three years her senior, Vance DeGeneres is an actor, comedian, musician, producer, and screenwriter who's just as funny, charming, and talented as his famous sister. With a multi-faceted career spanning over four decades, he's worked steadily in showbiz while accumulating a reported net worth of $8 million. While his name may not hold the same clout as his younger sister's to the general public, this multi-talent has become a major industry player in his own right. So, what's there to know about this successful celebrity sibling? Keep on scrolling to learn more about Vance DeGeneres. Vance DeGeneres became a corporal in the 1970s during his two-year stint in the Marine Corp, before pursuing a career in entertainment (via Closer Weekly). Upon returning to New Orleans, La., the lifelong musician hosted a radio program called New Wave New Orleans and played bass in a band called The Cold. "With a mesmerizing frontwoman, a refined melodic sense and high-octane shows, The Cold defined the New Wave era in New Orleans, packing local clubs and touring the southeast," The New Orleans Advocate reported, noting, "At their peak, they played 150 dates a year." While the new wave outfit broke up in 1985, they were inducted into the Louisiana Music Hall of Fame in 2018. "They were a big deal in New Orleans and incredible to see live," Ellen DeGeneres tweeted at the time, sweetly adding, "I'm such a proud sister." 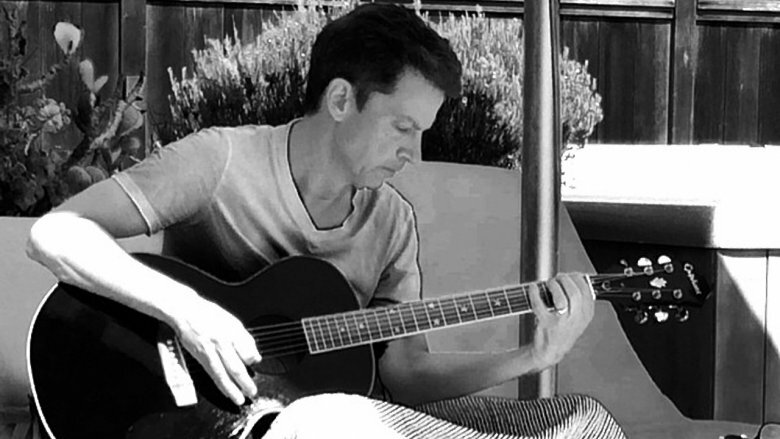 After moving out to Los Angeles in the mid-80s, Vance DeGeneres continued to perform with House of Schock and later with Cowboy Mouth. At the time of this writing in 2019, the multi-instrumentalist is a member of the folk-pop outfit The Lightjackets. According to Biography, Vance DeGeneres "was long considered the humorous member of the family" before Ellen fell into stand-up. He even hosted shows featuring his younger sister, who later revealed during a moving tribute to their late father, Elliot, "He was very funny. I think my brother Vance and I got our sense of humor from him." Unsurprisingly then, Vance DeGeneres' relocation to the West Coast prompted a shift into writing and producing comedy. 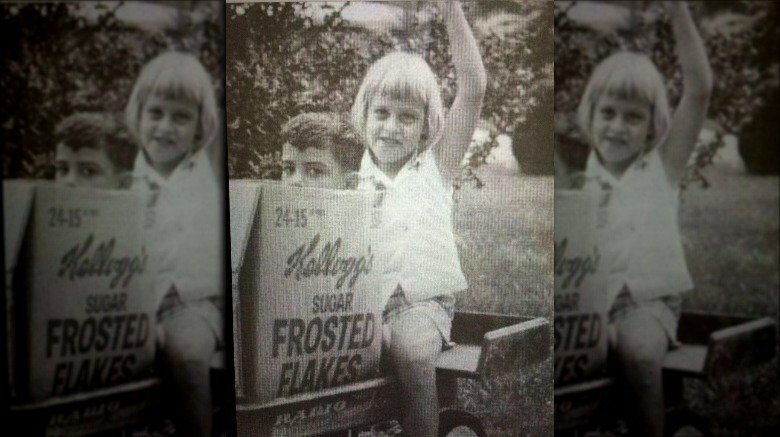 Over the years, the brother-sister duo's careers remained intrinsically linked. 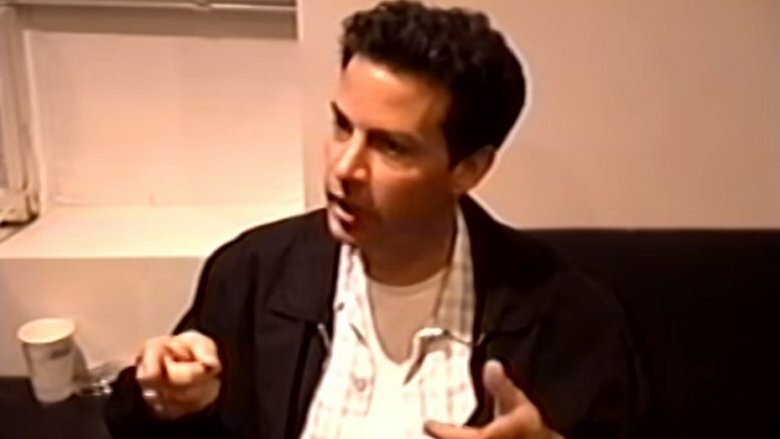 After getting his start as a staff writer on NBC's Eerie, Indiana, the multi-talent became a screenwriter on Ellen, wrote material for his sister's Academy Awards hosting gigs in 2007 and 2014, and has occasionally appeared on The Ellen DeGeneres Show. In between these familial jobs, DeGeneres wrote for other shows like Diagnosis Murder, The Secret World of Alex Mack, and Gary the Rat. He also found on-screen work of his own, and produced a number of movies and TV shows … but more on that later. 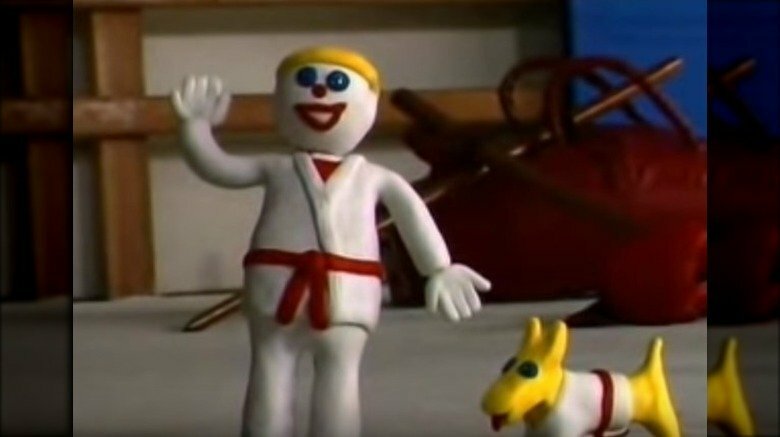 Comedy fanatics may remember the vulgar but always funny Mr. Bill claymation shorts from the early days of Saturday Night Live. Created by filmmaker Walter Williams in home videos during the mid-'70s, the surprise hit parody series followed a Play-Doh doll protagonist, who famously let out a high-pitched "Ohhh, noooo!" when his adventures inevitably went wrong. But did you know Vance DeGeneres originated the role of Mr. Hands — the… well, human hands that manipulated the gullible title character right on screen? After Mr. Bill went mainstream in New York City, DeGeneres and Williams sued each other over the profits from the surprisingly successful project. According to UPI, Degeneres "filed suit against Walter Williams … for half the proceeds from the shows and products," after previously requesting "an out-of-court settlement on the copyright," which Williams held. While the judge ultimately ruled in Williams' favor when it came to ownership of the Mr. Bill concept, DeGeneres was awarded "25 percent of all net proceeds" reaped from projects involving characters he helped create. Thankfully, there didn't seem to be any hard feelings between the two following this short-lived legal battle. In 1993 and 1995, DeGeneres reprised his role of Mr. Hands in Mr. Bill Goes to Washington and Oh Noooooo! It's Mr. Bill's 20th Anniversary. 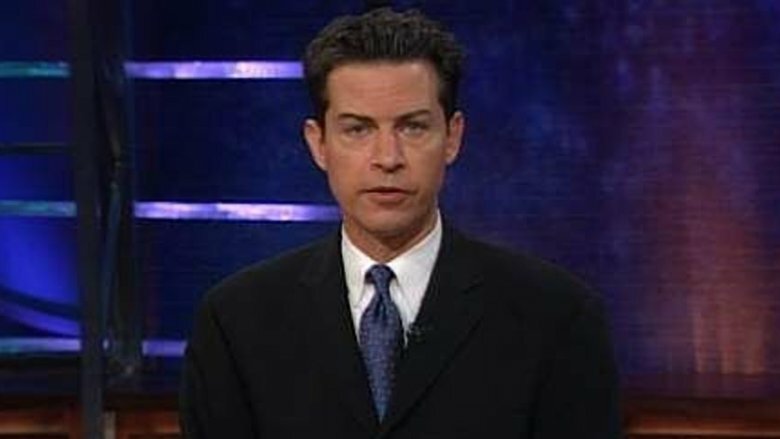 While Vance DeGeneres isn't necessarily known for his on-screen work, he was a fan-favorite correspondent on The Daily Show. 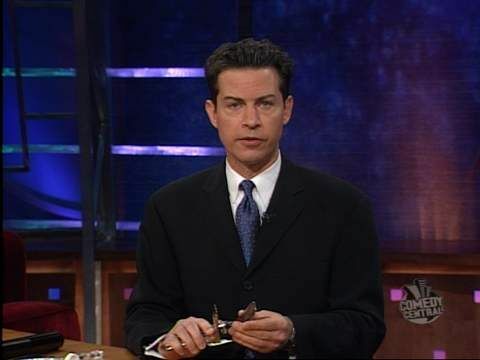 Between 1999 and 2001, he appeared in 137 episodes and helped push the fake news show into a new direction during the early days of Jon Stewart's acclaimed tenure (via The Washington Post). "I loved doing the show," DeGeneres told the Hail Satire! 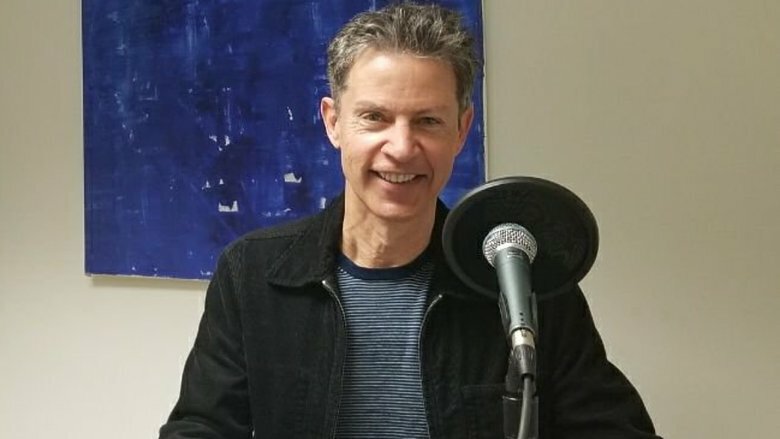 with Vic Shuttee podcast in 2018, saying that his on-screen persona was "this kind of blowhard journalist [who had] nothing beneath his surface." Readers are most likely aware that the Comedy Central hit has catapulted the careers of some of the biggest names in the late-night TV, including Last Week Tonight host John Oliver, Samantha Bee of Full Frontal, Hasan Minhaj of Netflix's Patriot Act, and DeGeneres' own colleague, The Late Show's Stephen Colbert. The comedian also worked alongside The Office alum Steve Carell. For his part, DeGeneres has largely spent his post-Daily Show career flying under the radar — so much so that Uproxx unfortunately listed him as "one of the five least successful" former correspondents. While this perhaps isn't the fairest assessment, be sure to check out DeGeneres in action in his classic final Daily Show segment. Following the success of his Daily Show run, DeGeneres has mainly worked behind the scenes as a writer and producer. According to his self-written Politicon bio, he spent six years working as the co-president of Steve Carell's Carousel Productions alongside actor Charlie Hartsock. "About five years ago, Steve got the offer from Warner Bros. for a production deal," DeGeneres told Hollywood.com in 2013. "We were really excited by the prospect of the three of us starting a production company. It's kind of a dream come true. Who gets that kind of opportunity?" he continued, adding, "Comedy is so hard, so subjective. The reason that Steve felt he could trust us is because he's worked with both of us for years and we share similar sensibilities. We gravitate towards the same things. The same things make us laugh." During his tenure at the production company, DeGeneres served as an executive producer on movies like Crazy, Stupid, Love and The Incredible Burt Wonderstone, as well as the Showtime series Inside Comedy. However, he later struck out on his own, scoring a development deal through Telepictures Productions and AVGP. 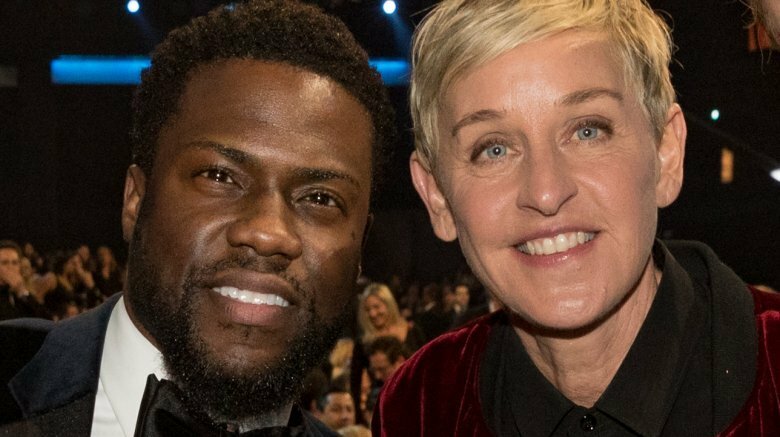 Just days after it was announced that Kevin Hart would host the 2019 Oscars (via The Hollywood Reporter), the actor-comedian infamously stepped down from the coveted gig when his past homophobic tweets and stand-up bits resurfaced in December 2018. During an appearance on The Ellen DeGeneres Show weeks later, Hart referred to the understandable criticism he received as a "malicious attack," while the titular host surprisingly sided with her guest. Having personally reached out to the Academy on Hart's behalf, DeGeneres called his critics "haters," saying, "You have grown, you have apologized … Don't let those people win — host the Oscars." Of course, DeGeneres faced severe backlash of her own in the fallout of the controversial interview, and it wasn't long before her older brother stepped in on social media. "Regarding my sister — no good deed goes unpunished," Vance DeGeneres tweeted at the time. "All she's ever done is try to help make the world a better, kinder, more compassionate place. And she's paid the price for her efforts. You may want to pick on someone who actually deserves your criticism." Following a short-lived first marriage in the early 90s, Vance DeGeneres was given his second shot at love in August 2013 when he tied the knot with former actress and headshot photographer Joanna DeGeneres. According to Radar Online, their California wedding was held at the Ojai Valley Inn & Spa. As intimate as it was star-studded, the married pair's roughly two-dozen guest list included famous faces like Steve Carell, Ellen DeGeneres, and Portia de Rossi. While the happy couple tend to keep their romance under wraps, they appear to still be going strong while enjoying married life. "13 plus years together, 3 married #happyanniversay to the love of my life," Joanna DeGeneres wrote on Instagram in 2016, alongside a sweet snapshot of the two. "I laugh everyday and I married my best friend. I highly recommend following that same path #truelove #vancedegeneres #happinessis." Two years later, the longtime pairing expanded their brood by welcoming an Australian labradoodle named Taters into their home. During a candid interview with The New York Times, Ellen DeGeneres dropped a major bombshell on her devoted fan base in December 2018: the possibility of quitting The Ellen DeGeneres Show. However, the talk show host's indecision on the matter seemingly stemmed from conflicting advice from brother Vance and wife Portia de Rossi. "She gets mad when my brother tells me I can't stop," DeGeneres told the publication, before the Arrested Development star chimed in with, "I just think she's such a brilliant actress and stand-up that it doesn't have to be this talk show for her creativity." De Rossi added, "There are other things she could tackle … I don't see the end of her show as her career ending." While Vance DeGeneres reportedly believed America needed a voice like his sister's amid the increasingly divisive sociopolitical climate of the Trump administration, he understood her inclination to do something else. Of her return to stand-up with Netflix's Relatable, he said, "After doing the show for 16 years, it's second nature. She wanted to break out of, not a rut, but a mold." Sounds like this older bro just has his little sister's best interests at heart. 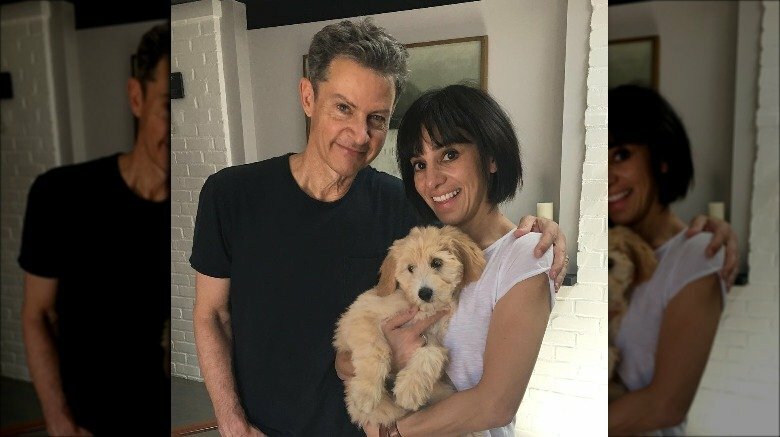 After four decades of performing, writing, and producing in music, film, and television, Vance DeGeneres' career came full circle in January 2019 when he returned to radio as the producer of the SiriusXM Comedy Greats show Have You Heard The One About. The program is co-hosted by writer-director David Steinberg and writer-producer Alan Zweibel, who respectively come from the worlds of Seinfeld and Saturday Night Live, according to the SiriusXM website. (No big deal.) Each week, the impressive on-air talent are joined by a new guest to talk old school comedy. DeGeneres took to Twitter to promote the show's January 2019 release, writing, "I'm a producer on this new show where we discuss and play clips from radio comedy greats and classic comedy albums. Our premiere episode today!" Hey, if this multi-talent is that excited about two dudes nerding out over comedy every week, you can bet we are, too.